Maximum card storage option, contains 900 sleeved cards. 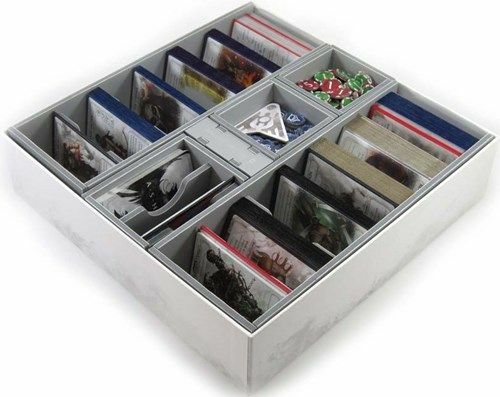 Maximum token trays, contains 810 sleeved cards. As noted above this insert works for many LCG style games. Shown here is the insert used for the game Ashes Rise of the Phoenixborn®.